And? That doesn't mean he can use his magic. Clearly with his actual sentience and magic he was able to wipe out all of Silver's ice. Except natsu said he could here Atlas flames voice before Wendy even used milky way and Wendy reinforced this as she said she knew she could feel magic(so it was being fueled by his magic unlike you claimed). hmm, if your sayin Altas spirit is fueling the flame thats not the case. it's was explained that sometimes a little one's soul and essence can linger sometimes after death. Wendy is capable of using Milky Way to give form to that little essence, like she did with zirconis. Atlas spirit was just there, not fueling it. Cause when he you keep going after he used that tiny bit of his soul that was left to unfreeze the village, the flame is still going after he faids away. Except what was being used here was residual thought and as explained by Wendy it is pure will power and a fragile magic, so it's clearly more than his spirit just being there. But that's not the same way we know how works with spirits using magic in FT. Something set and canon Vs A spot where his soul was resting, not active though. Yes I understand that. That has nothing to due with the his eternal flame though. She was speaking about him seperate from the flame, about how it takes a very strong will for presence to keep their soul lingering but it's pretty weak cause your a soul you wouldn't be able to do much sometimes, like Zirconis. It makes since why the soul is there because that is his flame, it is apart of him. Though it doesn't mean it was solely responsible for keeping the flame lite, like your indicating. Otherwise, again, it would of went out after he used up the tiny bit of his essense left to unfreeze the village because the source keeping it lite is gone and nothing else was indicated to keep it going. Time to talk about the Moonstuff on Galuna Island. 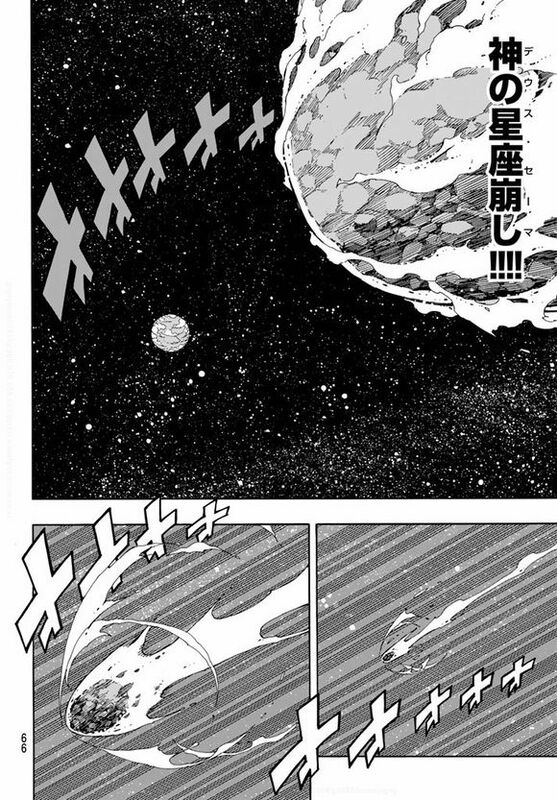 Moon Drip gathers the Moon's Magic Power in one place, utilizing it to deactivate any possible spell,in this case,Iced Shell.Iced Shell is known for being able to destroy / melt only with moon drip.Even Zeref was afraid of it when Gray used it against him.Erza also wanted to destroy the moon,which was not the case at the end but the statemant as well as the distance to the moon was stated. So, and now let's exchange team natsu with acnologia.In order to stop moon drip, team natsu had to defeat lion(BoS).Acnologia on the other hand, the god tier, would not bother with someone like lion at all.We know that he sees humans only as insects.In the war, of course, had to be made exceptions to continue to respond to his character.So,to stop moon drip, he would just bust the moon.That would also be a way of showing others how much stronger he is.And his character is about to destroy everything. The distance should not be a problem for his roars that even Irenes Deus Sema came far out of the space. Or he just flies and destroys the moon with a fist blow.We know,Dragons Physical strength>Roars. Show us what you got, buddy.